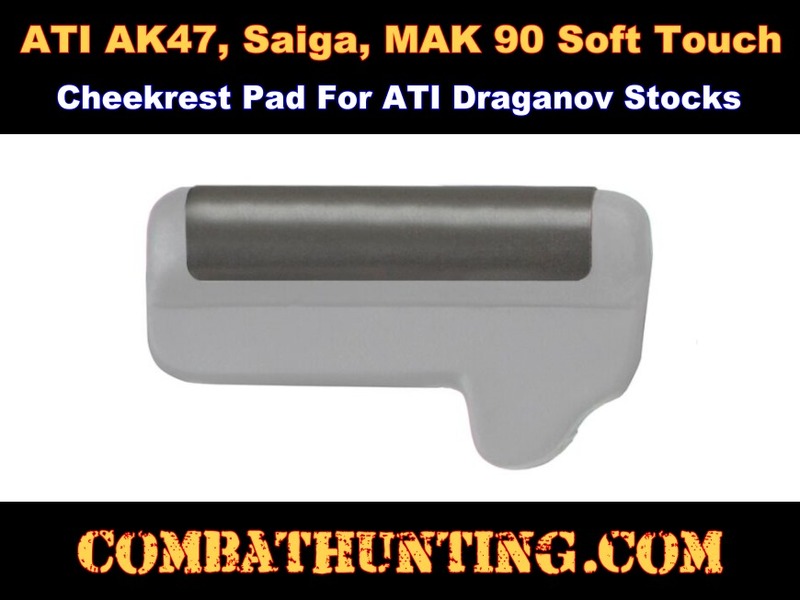 The ATI AK-47,Saiga MAK 90 soft touch cheekrest pad fits the ATI's fiberforce MAK0100 AK-47, Saiga and MAK-90 draganov stock cheekrest. The Thin black cheekrest pad provides extra comfort when shooting. 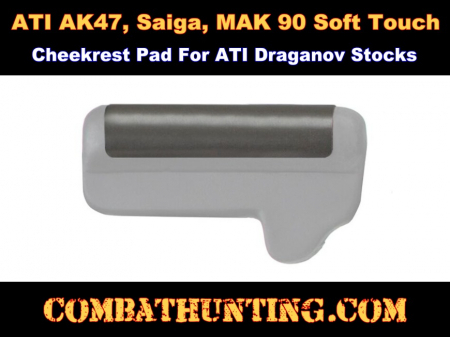 Pad has 3M Industrial grade self adhesive on back of cheekrest pad. 2 ply medium alcohol prep pad included. Easy to install. 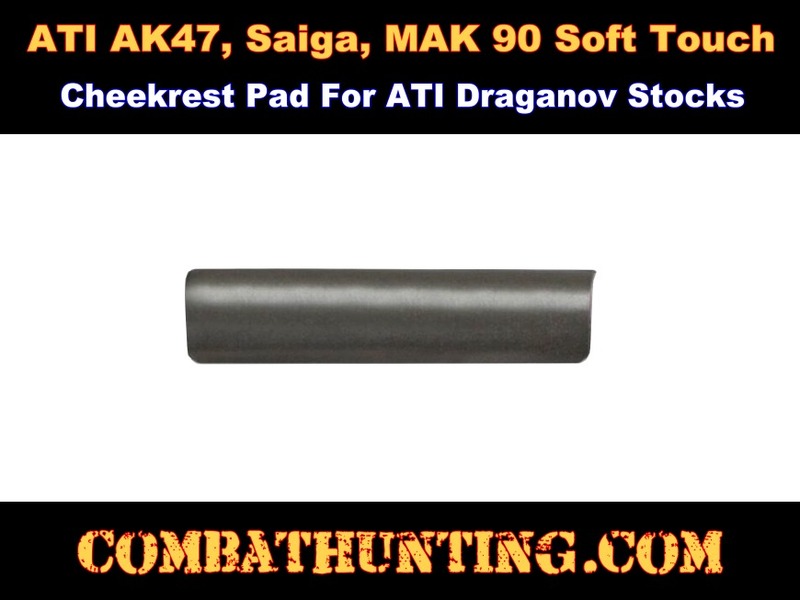 Note: Cheekrest not included it comes with stock package MAK0100, A.2.10.1276 sold separately.